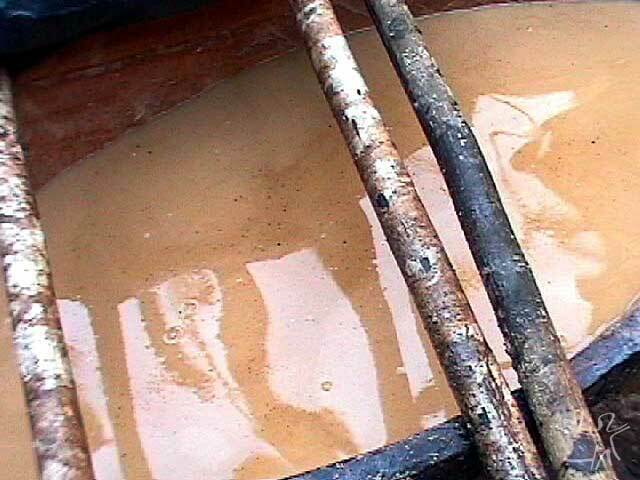 - What is the name of this river This river doesn't have a name, we just say iya ithabï. - What are the boundaries of your land? From Altamira to Morená, this river is our land. - What does your name mean? We have the name Yudjá because we come from this river, we were created in this river. -Why do you hunt in canoes? We can't do it while walking, we're not Indians! We have canoes for navigating. - Why is the manioc beer considered human? Obviously because the beer owners get drunk on it! 'How can that be?' we've asked ourselves. 'How can it be human?' It's human since it makes us get drunk, it kills us a little bit.' We consider manioc beer to be human. It's human: see, it kills us, we get drunk and fall asleep. Manioc beer makes us die. The Yudjá are a canoe people who have long inhabited the islands and peninsulas of the lower and middle Xingu, one of the most important rivers of southern Amazonia. The Xingu is currently threatened by plans for building hydroelectric dam systems. For about a century, the Yudjá have lived in two different groups separated by a huge distance. One group lives on the middle Xingu in the region they have occupied for ages, which includes the tiny Paquiçamba Reservation and surrounding areas that are not part of their officially recognized territory, as well as land in Altamira, Pará. The other group lives in the upper reaches of the same river, in an area within the Indigenous Park of the Xingu, which was created in 1961 in the state of Mato Grosso. This article focuses primarily on the Yudjá of the Xingu Indigenous Reservation, where they represent one of fourteen different indigenous peoples that currently live there. The Yudjá villages are located in the northern part of the reservation, between the BR-80 Highway and the Diauarum Indigenous Post. Within this land strip, the western side of the Xingu is part of the municipality of Marcelândia, while the eastern side is part of to São José do Xingu. Using a linguistic criterion (which is also largely cultural), the western Yudjá have four villages, while those on the eastern side, following ethnopolitical criteria, can be all be considered a single village, Tubatuba, which is located at the mouth of the Manissauá-Missu River. In certain contexts, Tubatuba is divided into two villages, which, for diplomatic reasons, prefer to define themselves as “ranches,” called Fazenda Novo Parque Samba (“New Samba Park Ranch”) and Fazenda Boa Vista (“Beautiful View Ranch”), where they raise some heads of cattle. Another village, Pequizal, is sometimes identified with the Kayabi people, since the leader is a member of that ethnic group, and at other times with the Yudjá, due to the language spoken by its residents. In a census conducted in June, 2001, the Yudjá numbered around 270 people. Mulher Yudjá. Foto: Rubens Belluzzo Brando, 1977. The ethnonym Juruna (variants Yuruna, Jurúna, Juruûna, Juruhuna, Geruna) has a foreign origin and appears to mean “black mouth” in the Língua Geral (a Tupi-based creole language widely used in the colonial era). This people may have earned the name because of the tattooing they used, according to reports from the seventeenth century, when their territory on the lower Xingu was invaded, a few years after Belem was founded (1615). The name they use for themselves is Yudjá (pronounced “Yudya,” phonemically written as Iuja); however, the name Yuruna also serves as a term of self-reference, having been commonly used before schools were introduced in their villages in the mid-1990s, when it was no longer considered correct. 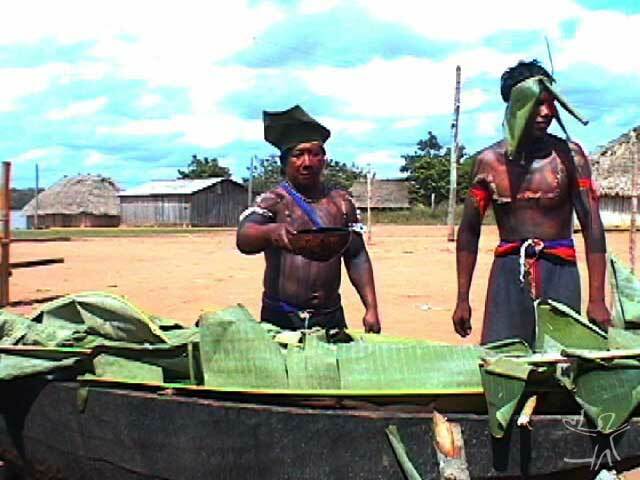 The Juruna or Yudjá contrast themselves with two other human collectivities: the Abi (a Juruna gloss for “Indians”), who include all indigenous peoples who do not speak Juruna (or a similar language, depending on the context), do not make manioc beer, and did not traditionally navigate the waters of the Xingu basin. The Karai (the Juruna gloss for “white people”) include all other human beings. In their mythology, the Yudjá portray themselves as the prototype of humanity, that is, as canoeists and beer makers. The Abi were derived from some Yudjá who got lost in the forest after a great flood and who became savages (imama: Others, wild people, nomadic hunters, non-cannibals, non-beer-makers). The Karai were derived from warriors who, after instigating the split between the Yudjá and their Creator, refused to share the flesh of the Abi with the latter. Because the Karai persecuted Him, the Creator turned their speech backwards (which was the origin of Portuguese) and gave them a corral of cattle to make them a sedentary people.Although it is not possible to analyze the meaning of the ethnonym Yudjá, the Juruna consider it their name because they are the preeminent “masters of the Xingu River. The Yudjá speak a Tupian language that is classified as part of the Juruna linguistic family, which includes the now extinct languages once spoken by the Arupaia, Xipaia, Peapaia, Aoku (not identified), and Maritsawá peoples. 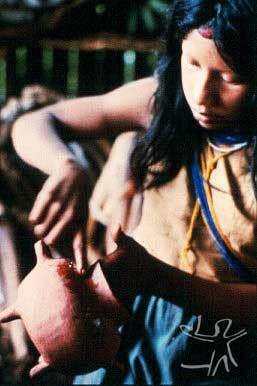 Culturally, they are closely related to groups that speak languages of the Tupi-Guarani family. Yudjá oral traditions mention the substitution of some words in the Juruna language with ones used by the Shadí people (not identified). Nimuendajú considered the languages of the Juruna family (as they were later classified) as an impure form of Tupi that had been subjected to influences from Arawak and Carib languages (besides borrowing words from the Língua Geral). Not all Yudjá men over fifty years old speak Portuguese well, and perhaps only half of the adult women understand it reasonably well. Probably some women can speak the language, but they never did so in my presence during nearly two years when I lived among them. Boys begin to speak Portuguese in puberty. With the introduction of bilingual schools in their villages, the girls' timidity will presumably break down soon, perhaps promoting a reconfiguration of gender relations and especially of the means of communication between Yudjá women and other indigenous peoples, which is currently very low. In 1989, only one member of the Yudjá group in the Paquiçamba Reservation on the middle Xingu was able to communication in Juruna. In the early 1970s, there was but one woman who spoke the only other remaining language of the Juruna linguistic family that survived into the twentieth century, Xipaia. Spurred by the death of her language, she made a gift of personal names to the Juruna leader in the Upper Xingu. Mulheres Yudjá preparam cauim. Foto: Adélia de Oliveira, 1966. The Juruna, once the most important tribe of the Xingu, suffered the entire onslaught of the advance of rubber tappers. Especially the people from Coronel Tancredo Martins Jorge, at the mouth of the Rio Fresco, committed every sort of crime, from murder on down, against the poor Indians, until they revolted and fled, headed by their Chief Máma, to the other side of the border of Mato Grosso, where they settled down on an island above the Martius Falls. That was where Fontoura found them when he traveled down the Xingu from Mato Grosso as part of the Rubber Defense Commission in 1913 (?). Later, the Yudjá made peace with the rubber tapper Major Constantino Viana, of Pedra Seca, for whom they worked as crew members on his boats in 1916, going downriver to Altamira, when 22 of the Yudjá died within a few days. When the survivors returned with this news, the elderly Máma once again fled with the others upriver, and today no one knows the whereabouts of the band, which consists of some 40 souls. Another small band, the family of Chief Muratú, of about 12 people, managed to endure, protected by the terrible rapids of the Xingu Bend, at Jurucuá Falls, just below the mouth of the Pacajá River. Other riverine peoples on the middle Xingu, who were neighbors of the Yudjá and related to them by language or culture, met worse fates: groups such as the Peapaia, Arupaia, and Takunyapé (the latter of the Tupi-Guarani family) were entirely decimated in the wave of genocide triggered by the invasion of the middle Xingu by rubber barons during the second half of the nineteenth century. Interior de uma casa Yudjá. Foto: Eduardo Galvão, década de 1960. This was not the first time the lands of the Yudjá and their neighbors were invaded; as stated earlier, their history has been linked to ours ever since the founding of Belém. In the mid-1700s, after the first century of their contact history, marked by imprisonment, enslavement, warfare, and mission resettlements, the most striking result was the “abandonment” of the entire lower Xingu by indigenous peoples. As Nimuendajú stated, the Yudjá presumably fled upstream, while the Waiãpi, their neighbors on the banks of the Xingu, crossed the Amazon and headed for the Rio Oiapoque. Despite the consistency of the hypothesis of these successive dislocations due to invasions, indicated in the Ethnohistorical Map of Curt Nimuendajú (IBGE, 1981), we should not underestimate the probable wave of genocide that affected the peoples of the lower Xingu in the seventeenth century. An important difference between the events of that period and the experiences of the turn of the twentieth century is that, in the latter case, these peoples no longer had to means to rally thirty canoes to commemorate a victory over foreign “expeditions,” such as the one celebrated by the Yudjá and their Takunyapé allies after they defeated Gonçalo Pais de Araújo and his pawns, the Kuruáya, in 1686. 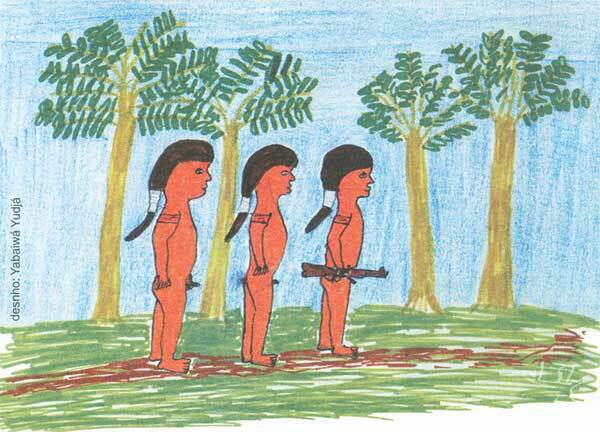 In the early 1950s, the last member of the Takunyapé people died among the Yudjá of the upper Xingu. People remember how, before he died, he became overwhelmed with emotion when he first heard the speech of some of the recently arrived Kayabi. But what a disappointment! He could remember hearing their language, but it was not his; they were not really Takunyapé. Yudjá oral history apparently does not make room for their former occupation of the lower Xingu nor for their last demographic tragedy. 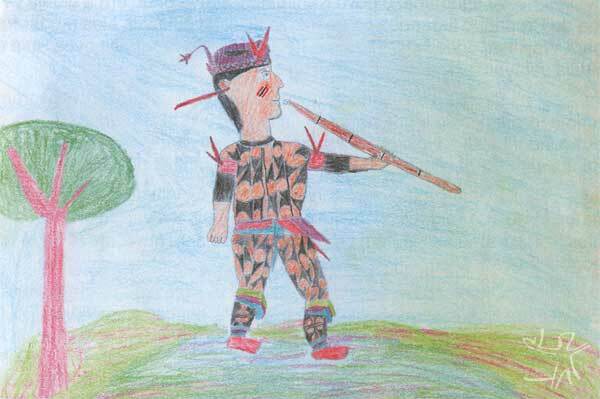 They explain the extinction of the Takunyapé, Arupaia, and Peapaia as the result of warfare among themselves and with their long-time enemies, the Txukahamãe. The Yudjá assert that their original territory extended across the entire region of the Xingu's Great Bend (that is, the large curve of the river where Altamira is located) as far as the mouth of the Rio Fresco. They say that their ancestors abandoned this region before white people arrived, fleeing upstream after having taken the life of the chief who was in charge of the three Yudjá villages existing at the time. Supposedly they met the Karai (white people) at the mouth of the Rio Fresco, and later developed relations with Constantino Viana, the owner of the rubber groves well upstream at Pedra Seca. When one of his cows died after drinking some raw manioc juice made by Yudjá women, the group feared a reprisal and fled further upriver to the “last waterfalls on the Xingu” (the Von Martius Falls). In order to remain in the Upper Xinger, the Yudjá had to fight some bloody battles with other peoples in the region, especially the Kamayurá and Suyá, which culminated in two memorable episodes. The first was the period when the Yudjá completely lost their political autonomy after the Suyá massacred the Yudjá warriors and took the rest prisoners (some of whom were later captured by the Kamayurá). Finally, an old man escaped and fled to Pedra Seco to get help from Constantino Viana and his men, who went and massacred the Suyá. The Yudjá were thus able to recuperate their independence and establish their own village, with only four men, around ten women, and almost no children. A few years later, in 1950, the Yudjá population was reduced to 37 people, soon after the Roncador-Xingu Expedition had entered the region and enforced peaceful relations. The graph below presents census data on the Yudjá as of June, 2001. It includes resident spouses who are identified as Kayabi, Txukahamãe, and Ikpeng, but it does not include members (or descendents) of the Yudjá who have been incorporated into their spouses' group (specifically, the Suyá). Single youths currently living at the Diauarum Indigenous Post are included in the data for Tubatuba, where they consider themselves linked through family ties. (Observations: Piaraçu, located on Highway BR-80, was formerly a Security Post. 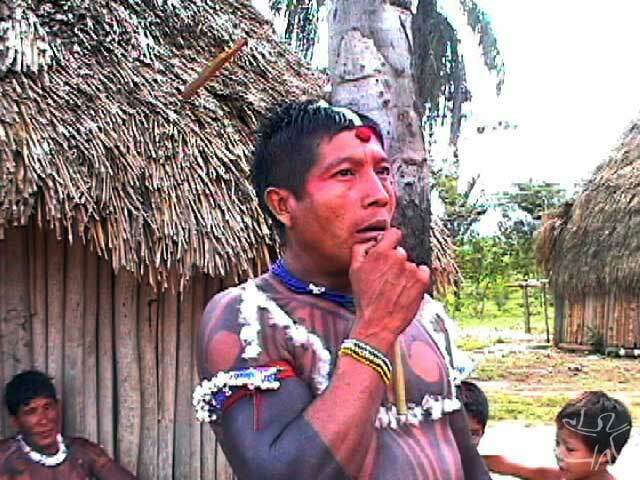 The current leader is a Txukahamãe man married to a Yudjá woman, and he is also considered the leader of the Boa Vista ranch. The Novo Parque Samba ranch is also known as the village of Paquiçamba. The village of Pequizal is the site of a former Yudjá village from the 1950s and '60s, which dissolved in 1967. Later, the chief's daughter came back to live there with just her husband, a Kayabi man. In 1984, the only inhabitants were this couple and their four young children; by the '90s, the children began to form their own families, and some of their in-laws moved into the village. Ten of the current families are made up of Yudjá women who married members of other peoples: eight Kayabi, one Txukahamãe, and one Ikpeng). Homem tocando a flauta dos mortos no fim de uma cauinagem. Foto: Tânia Stolze Lima. Aldeia de Tubatuba, 2001. Among the probable reasons for this loss of courage, we cannot underestimate either the demographic and sociological tragedy provoked by the rubber boom, or the incorporation of the indigenous societies of the Upper Xingu in the mid-twentieth century by the federal agency responsible for assisting native peoples, or the political context and particular culture of the Xingu Indigenous Reservation. The Yudjá seek out the therapeutic services of Kayabi shamans and, occasionally, of Kamayurá ones (when they need to remove sorcery spells). Starting in 1987, a few people, male and female, received curing powers from some Kayabi shamans and have been practicing a simplified kind of shamanic therapy. Without having gone through any sort of more formal apprenticeship with Kayabi shamans, their practices combine the notion of power obtained from foreign cosmic forces and their own theories of diseases, of which the most important is that illness is derived, in the final analysis, from human activities. They believe that the energies expended by people on things are replicated by the (souls of) things inside the bodies of those people or their relatives. The shaman is the one who can extract these diseases. In addition to relying on healers who acquired Kayabi powers, the most important shaman in Tubatuba nowadays is an Ikpeng man. a) In the first place is the opposition between life and death. This is far from being the drastic dichotomy seen in our cosmology, since there are some crucial transitions engendered by the dynamic functioning of the cosmological machinery, from small temporary deaths, triggered by sleep and typically taking the form of dreams, all the way up to anticipatory deaths. The relation between life and death involves not so much a reciprocal exclusion (such as our notion that if someone is dead, he or she cannot be alive) but, rather, inclusion: someone can be dead here, but alive in another place; he or she may be still alive here but already dead somewhere else. In other words, the relation is one of a relative disjunction, capable of making room for important conjunctions. Yudjá shamans used to be masters of such transitions. b) In the second place, the axes of the world are established by the oppositions between river and forest, and between sky and earth, each one articulated with the opposition between the presence and absence of cannibalism. The river and the sky have a positive link with cannibalism. One may say that all things that exist can be divided through these oppositions: human beings (river peoples and forest peoples); spirits of the dead (those living in the cliffs on the banks of the Xingu, who do not like human flesh, and those living in the sky); mammals (forest species and those called isãmï living on the river bed); the Yudjá and the ãwã living on the river bed; the Abi living in the forest and the ãwã who live in dark, dirty places in faraway woods. In addition, the Yudjá believe that everything that exists on earth also exists in the sky, which is a kind of earth resembling ours. Even though the Yudjá do not consider the river to be a copy of the forest, they say it can be viewed as a copy of the earth by some river inhabitants, except that the forest in their earth resembles our gallery forests, and their gardens are portions of land broken off from the river banks. c) In third place is the last fundamental cosmological operation, which rests on the opposition between the point of view of living, conscious human subjects and the point of view of foreign beings, such as animals, isãmï animals, ãwã, and the 'i'ãnay (the dead). The dynamism and complexity of Yudjá cosmology depends strictly upon the confrontation, nearly dangerous, between these discordant points of view. Yudjá shamanism used to be composed of two systems, each related to one society of the dead. Rarely was it possible for a shaman to practice both types of shamanism: the spirits of the dead inhabiting the river rocks are too afraid of those living in the sky, whose society is composed of the souls of warriors and their leader, the shaman Kumahari. Indeed, the Yudjá may be the ones who nowadays fear these spirits of the sky the most, and this form of shamanism is considerably more powerful, dangerous, and difficult to obtain. Each system of shamanism used to be associated with a great festival in honor of its particular category of the dead. The festival for the dead of the river cliffs ('i'ãnay karia) was accompanied by the sound of flute music and songs performed by the dead through the mouth of the shaman. The other festival, called duru karia or 'eãmï karia, was accompanied by the music of a set of trumpets (duru). When the Yudjá offered food to Kumahari and his associates during their festival, they said they would rather eat the flesh of roasted Indians brought from the other-world; they also refused to drink manioc beer, saying they were already drunk enough. By contrast, the spirits from the river cliffs would drink plenty after eating the meal from their hosts, spicing up the manioc beer made by Yudjá women with a dose of beer brought from the other-world. Both types of festivals used to last about a month, and their closing ceremonies would draw in participants from different villages. The last of these celebrations were held in the 1970s. Despite these changes, the ritual life of the Yudjá certainly continues to be intense. Besides breaking up their normal routine with beer parties held at interludes that may be as short as four or five days, the Yudjá celebrate two festivals every year, each held for approximately one month. According to their mythology, the songs for the festival of cultivated plants (koataha de abï), controlled by the women, originated from a celestial, immortal human race. The Yudjá owe two clarinet (pïri) festivals to the ãwã, manioc beer makers who live in villages at the bottom of the river and lakes. These beings also gave them body adornments that served as distinctive ethnic emblems: downy duck feathers pasted on the hair, and circular red ornaments made of resin and a fringe of red threads, which are pasted to the forehead. Certainly none of these festivals have the same cosmological significance as the shamanic rituals, but they do bear great social value. Yudjá society is made up of groups of bilateral kindreds that are dispersed along a river and are constituted around a leader who is called an “owner, master” or, in Portuguese, capitão (“captain”). This is someone who combines the features of being the elder (se'uraha) and the in-law (saha) of the majority of mature men who are “masters” of their own domestic group. These groups are predominantly founded on the relations between the mother and daughters and between the father-in-law and sons-in-law. Juruna vocabulary distinguishes various types of relations and/or positions concerning the figure of the “master” (iwa, ijifa, iju'a, iui'a, iu'a, i'uraha, awai). The production of social life is primarily ordered by a sociological principle incarnated in the figure of a “master,” who is the means through which a set of people linked by kinship relations is transformed into a fully political group. Such a group may be as wide as a set of villages comprising the original village and smaller ones derived from it, or as narrow as a domestic group occupying a section of the village or even a single house. 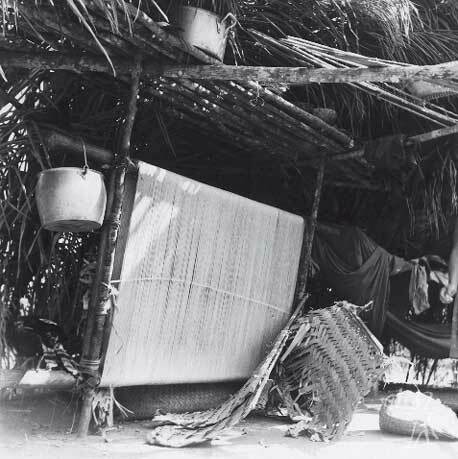 At an intermediate level is the village, a unit that is spatially expressed in a Manioc Beer House, which is ideally constructed by the village master (although an old house might be used for such purposes) and which functions as a collective cookhouse for women to use when processing garden products and as a public hall for holding manioc beer festivals. The sociological figure of the “master” or “owner” may be expressed in another equally important manner. This concerns the position that is temporarily occupied by any married man and/or garden owner who takes the initiative of promoting a collective activity, such as a hunting party, a fish-poisoning expedition, a festival, or even a task such as pulling a new canoe from the forest to the port. Hosting a manioc beer party is the indispensable procedure incumbent upon any man who wants to be recognized as the master of a collective activity, who thereby also becomes recognized as the master of the group. Every man has the right to assume this position, although, in practice, many are too reluctant to do so until they become fathers-in-law and thus enter into maturity. Based on my observations from 1984 to 1994, I would argue that these different social units should be viewed as units of consumption rather than units of production. A culinary code articulates the different categories of foods with the three basic social units—the family, the domestic group, and the village—and allows a Yudjá village to hold collective meals on a daily basis. However, in the village of Tubatuba in 1999 and 2001, such meals were not held as often and did not carry the same value, due to a relative dearth of canoes (indicating a change in fishing practices) and to the fact that some families acquired a gas stove, individual plates, rice, and macaroni. Within the set of kinship relations, affinity (the in-law relationship) stands out as bearing a fundamentally political coloring. The method of classifying affinal relations adopted by the Yudjá is perhaps the most widespread one among Amazonian indigenous societies. It gives rise to a bipartite system of relations that distinguishes consanguinity from affinity. Father and father's brother are classified as consanguines, as are mother and mother's sister; in contrast, mother's brother and father's sister are classified as affines. It is thus consistent that father's brothers children and mother's sister's children (that is, parallel cousins) are considered kin of the same category as siblings, while the children of the maternal uncle and those of the paternal aunt (that is, cross-cousins) belong to the opposite category. The form of marriage considered ideal is one between cross-cousins. Given this pattern, Yudjá women, for example, use the term umãbia to classify together their own children, sister's children, father's brother's daughter's children, mother's sister's daughter's children, as well as their cross-cousins' children. Canoa de cauim dubia. Foto: Tânia Stolze Lima. Aldeia de Tubatuba, 2001. Among the many fermented beverages that the Yudjá produce, two types of manioc beer—dubia and yakupa—are especially important in the diet and in their symbolism. Due to its intoxicating power, dubia is full of mystery, and its fermentation is considered to be a transubstantiation. As the object of various symbolic relations with the person, manioc beer is simultaneously the “child” of the woman who makes it and a type of “game meat” that pierces people’s hearts. Its soul follows the path that leads to the land of the dead who inhabit the cliffs of the Xingu River. Its corpse, represented by the remains of fresh mash placed on a wooden platform to dry in the sun, is used to make yakupa, a refreshing beer consumed on a daily basis within the family. Besides heartily enjoying manioc beer, the Yudjá really know how to drink. To hold the festival marking the close of her daughter’s seclusion in May, 2001, Kushina, with the help of the girl’s young cousins and nieces, produced around 1500 liters of dubia, while her cousin held one with around 400 liters. The beer was consumed between midnight and four o’clock the next afternoon! The joy of living is not the only emotion projected onto beer drinking; much unhappiness is also directed towards it, leading people to confront their antagonisms. Rivalries between spouses and among affines may give rise to dramatic situations, but these rarely cause the village to fission (although this was behind the fissioning of Tubatuba in 1996). Since manioc been is truly a symbolic person, it seems legitimate to consider it a reflection on the mortal condition of humanity, and to view beer drinking, a figurative cannibalism, as a reflection on the finitude of society. Anthropological studies on the Yudjá were conducted by Adélia Engrácia de Oliveira in the mid-1960s and by Tânia Stolze Lima (author of this article) in 1984-1985, 1988-1990, and since 1999. Oliveira’s doctoral dissertation was published in 1970, but Stolze’s master’s thesis and doctoral dissertation are as yet unpublished. The ethnographic subjects covered by these studies are practically the same (social organization, kinship, mythology, and cosmology), except that Lima, besides achieving a fair degree of fluency in the native language, offers a wider and deeper ethnographic vision. Her articles dealing with the cosmological notions of the Yudjá have been published in specialized journals. The Juruna language is currently being studied by the linguist Cristina Martins Fargetti. She produced the video “Sãluahã” on the seclusion festival for two girls. Articles on the Juruna of the middle Xingu have been published by Lúcia M. M. de Andrade and Eduardo Viveiros de Castro in the volume, Hydroelectric Dams on Brazil's Xingu River and Indigenous Peoples (ed. Lucia M. De Andrade and Leinad Ayer O. Santos, trans. Robin Wright; Cambridge, Mass. : Cultural Survival, 1990). ANDRADE, Lúcia M. M. de. (Orgs.). As hidrelétricas do Xingu e os povos indígenas. São Paulo : CPI-SP, 1988. p. 147-52. --------. O projeto Kumana e a experiência da Atix na comercialização de artesanato Kaiabi, Yudjá e Suyá em 1998 : Relatório. São Paulo : ISA, 1999. 87 p.
--------; SILVA, Geraldo Mosimann da. Características ecológicas, extração e usos de Uruyp (Ischnosiphon spp, Marantaceae) : bases para discussão de seu manejo participativo. São Paulo : ISA, 1999. 14 p.
-------- (Org.). Yudja kamena dju’a papera. São Paulo : ISA ; Brasília : MEC, nov. 1998. 84 p.
-------- (Org.). Histórias do Xingu : coletânea de depoimentos dos índios Suyá, Kayabi, Juruna, Trumai, Txucarramãe e Txicão. São Paulo : USP-NHII/Fapesp, 1994. 240 p.
--------. 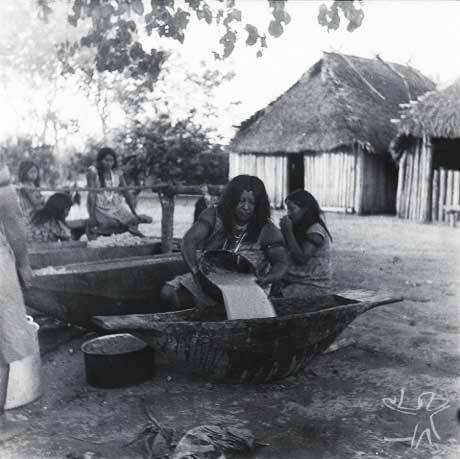 Matemática entre os Suyá, Kayabi e Juruna do Parque Indígena do Xingu (1980-84). In: --------. Com quantos paus se faz uma canoa! : a matemática na vida cotidiana e na experiência escolar indígena. Brasília : MEC, 1994. p.24-37. --------. Povos Indígenas no Brasil : a matemática Juruna no começo dos tempos. In: --------. Madikauku, os dez dedos das mãos : matemática e povos indígenas no Brasil. Brasília : MEC, 1998. p. 16-33. --------; HECKENBERGER, Michael (Orgs.). Os povos do Alto Xingu : hisória e cultura. Rio de Janeiro : UFRJ, 2001. 496 p.
HISTÓRIAS Juruna. In: FERREIRA, Mariana Kawall Leal (Org.). Histórias do Xingu : coletânea de depoimentos dos índios Suyá, Kayabi, Juruna, Trumai, Txucarramãe e Txicão. São Paulo : USP-NHII/Fapesp, 1994. p.133-78. LIMA, Tânia Stolze. A cerâmica dos índios Juruna (rio Xingu). Boletim do MPEG: Série Antropologia, Belém : MPEG, n.41, 25 p., ago. 1969. --------. O dois e seu múltiplo : reflexões sobre o perspectivismo em uma cosmologia tupi. Mana, Rio de Janeiro : Museu Nacional, v. 2, n. 2, p. 21-48, out. 1996. --------. Para uma teoria etnográfica da distinção entre natureza e cultura na cosmologia Juruna. Rev. Brasil. de Ci. Soc., São Paulo : Anpocs, v.14, n.40, p.43-52, 1999. --------. Os índios Juruna e sua cultura nos dias atuais. Boletim do MPEG: Série Antropologia, Belém : MPEG, n.35, 38 p., mai. 1968. --------. Parentesco Juruna. Boletim do MPEG: Série Antropologia, Belém : MPEG, n.45, 44 p., out. 1970. SANTOS, Leinad Ayer O.; ANDRADE, Lúcia M. M. de. (Orgs.). As hidrelétricas do Xingu e os povos indígenas. São Paulo : CPI-SP, 1988. 196 p.
SICK, Helmut. Tukani : entre os animais e os índios do Brasil Central. Rio de Janeiro : Marigo Comunicação Visual, 1997. 294 p.
SILVA, Geraldo Mosimann da. Agricultura Kaiabi e Yudjá na paisagem norte do Parque Indígena do Xingu. São Paulo : ISA, 1999. 104 p.
--------. Ciência da roça. São Paulo : ISA, 1999. 56 p.
--------; ATHAYDE, Simone Ferreira de. Bases socioambientais para o desenvolvimento de alternativas econômicas sustentáveis na região Norte do PIX, MT : relatório. São Paulo : ISA, 1999. 238 p.
SIMÕES, Mário E. Os “Txikão” e outras tribos marginais do Alto Xingu. Rev. do Museu Paulista, São Paulo : USP, v. 14, p.76-104, 1963. TRONCARELLI, Maria Cristina; WURKER, Estela; ATHAIDE, Simone (Orgs.). Vegetação Yudjá. São Paulo : ISA, 1998. 54 p.
VILLAS BÔAS, Orlando; VILLAS BÔAS, Cláudio. Almanaque do sertão : histórias de visitantes, sertanejos e índios. São Paulo : Globo, 1997. 303 p.
--------. Os Juruna no Alto-Xingu. Reflexão, Goiânia : UFGO, n.1, p.61-85, 1970.